As VMware Cloud on AWS goes live across Asia Pacific, new features of the fifth major release of the platform have been revealed. Such benefits involve a reduced cost of entry for smaller production workloads; accelerating the migration of applications without any adjustment, change or downtime; and addressing key challenges in enterprise application licensing. 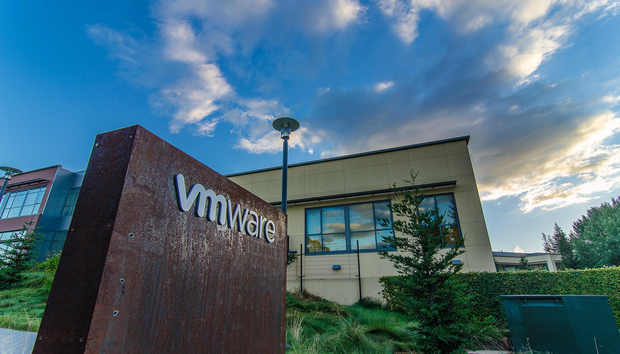 VMware has reduced the entry price for VMware Cloud on AWS by 50 per cent along with offering a smaller three-host minimum SDDC configuration as a starting point for production workloads. For a limited time, VMware will offer the three-host for the same cost as a two-host configuration - previously the smallest option for customers was a four-host cluster. With new custom CPU core count capabilities, customers will be able to specify just the number of CPU cores they need, reducing the cost of running mission-critical applications that are licensed per CPU core. With VM-Host Affinity, customers will be able to pin workloads to a specific host group to support licensing requirements, according to Mark Lohmeyer, senior vice president of cloud platforms at VMware. "One thing we heard from customers is that they were looking for help in how to better align their enterprise application spend with the actual resources they’re using,” Lohmeyer said. "Our new capability will allow customers to specify the exact number of cores they need for that application, and therefore, they only have to pay for license costs for the cores they’re using in that application - really right sizing their spend on what the application needs. "This gives them more flexibility and control, and helps them optimise not only the cost of their infrastructure from VMware and AWS, but also the cost of the workloads on top." New clusters for high capacity storage are also being added, which is supported by VMware vSAN capabilities, and backed by AWS Elastic Block Storage, running on new Amazon Elastic Compute Cloud (Amazon EC2) R5.metal instances. Specifically, Amazon EC2 R5.metal instances are based on 2.5 GHz Intel Platinum 8000 series (Skylake-SP) processors. Each host has two sockets, 48 cores, 96 hyper-threads, 768 GB RAM, and 25 Gbps network bandwidth. In order to help customers migrate entire data centres, VMware has also made enhancements in the way customers can migrate large numbers of virtual machines into VMware Cloud on AWS with a new capability that enables instantaneous switch over of workloads with zero downtime. Furthermore, they also have the added capability to schedule exactly when to cutover to the new cloud environment with VMware NSX Hybrid Connect (previously known as VMware Hybrid Cloud Extension) powered by vMotion and vSphere Replication. VMware is offering a free migration cost assessment with VMware Cost Insight to assist with cloud migration planning. “Once all the data is fully synchronised between the two environments, the customer can then schedule an instantaneous switchover of that environment,” Lohmeyer said. “This takes the whole data centre migration use case to the next level." Customers can also now control east-west traffic between workloads running in VMware Cloud on AWS through micro-segmentation with NSX, while security policies can be defined based on workload attributes and user-defined tags. “This is a very powerful feature of NSX that many of our enterprise clients rely on for on-prem environments," Lohmeyer added. NSX has also been integrated with AWS Direct Connect, allowing customers to connect across hybrid cloud environments and improve network performance - this will help provide consistent connectivity between VMware workloads running on VMware Cloud on AWS and those running on-premises, Lohmeyer said. To also fit with the many security requirements that customers face, Lohmeyer said it was taking advantage of the data at rest encryption in vSAN, which has been integrated with the AWS key management service. In addition, real-time log management is also included at no additional cost, plugging VMware Log Intelligence to the core VMware Cloud on AWS service.